What do you feed a growing family of meerkats? 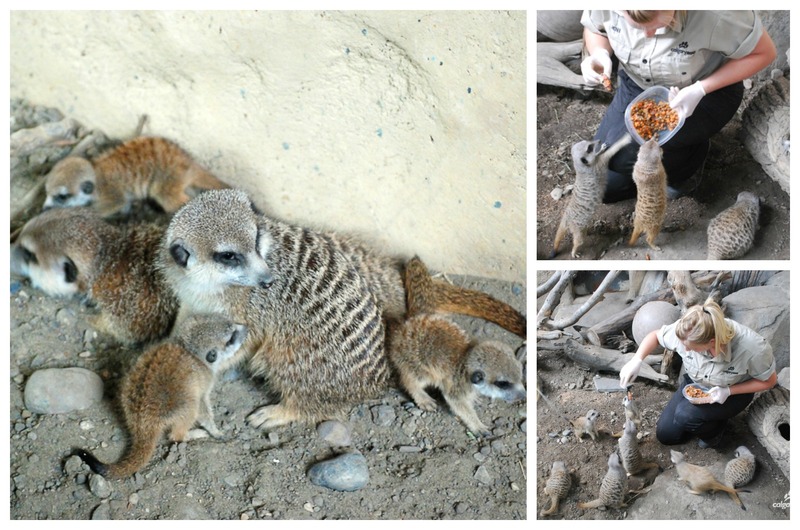 This past year, we welcomed a new generation to our mob of slender- tailed meerkats! Born on December 9, five cute meerkat pups got to know their mom Petunia, before surfacing from their den on Christmas Day. It was a nice holiday present for our zookeepers, and ever since our new zoo family members have been exploring their home – and growing like weeds! We’ve been asked the question “what do you feed your meerkats?” and while the answer might not sound yummy to a human, it’s a nice balanced meal for our adult meerkats, and their growing pups. In the picture above, our keeper is feeding them a mixture of mealworms, carrots and other veggies, and cat food! Cat food is an easy dietary substitute for meerkats, as it includes nutrients that the meerkats might find in the wild. Meerkats are primarily insectivores, meaning they primarily eat insects. However they won’t turn down other treats, so they will also eat plants, small mammals, lizards, eggs, even scorpions! This makes meerkats omnivores, enjoying both meat and veggies. It’s always a good idea to feed our young meerkats a healthy balanced diet, just like our young zoo visitors- that way they can grow big and can keep up with the rest of the family. 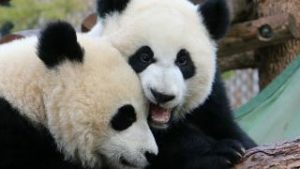 Check out a video of the cute new additions to the mob!